Ice cream lovers, rejoice: the Big Love Ice Cream Bowl was made just for you and your best friend or partner, which is why it’s accompanied by a large heart-shaped spoon. Designed by Miriam Mirri, known for her playful and almost child-like approach to everyday objects, the Big Love Ice Cream Bowl is, as the name suggests, big and beautiful, crafted in 18/10 stainless steel and colourful thermoplastic. Designed in Italy by Miriam Mirri. Made from thermoplastic resin and 18/10 mirror-finish stainless steel. 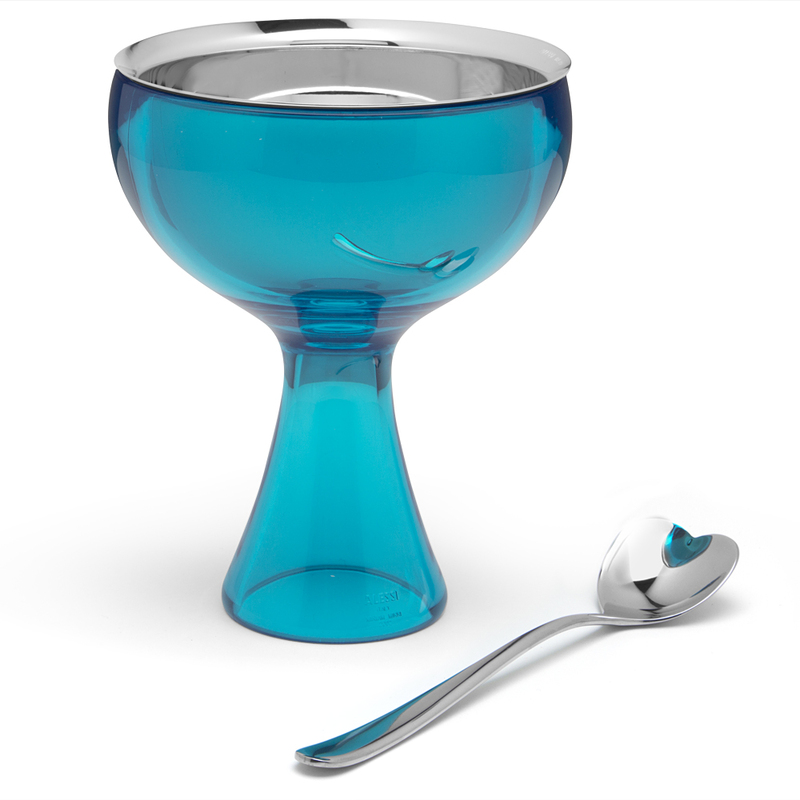 Includes a heart-shaped stainless steel ice-cream spoon. Presented in a cute Alessi gift box. Hand wash recommended – bowl is easily removed for cleaning.